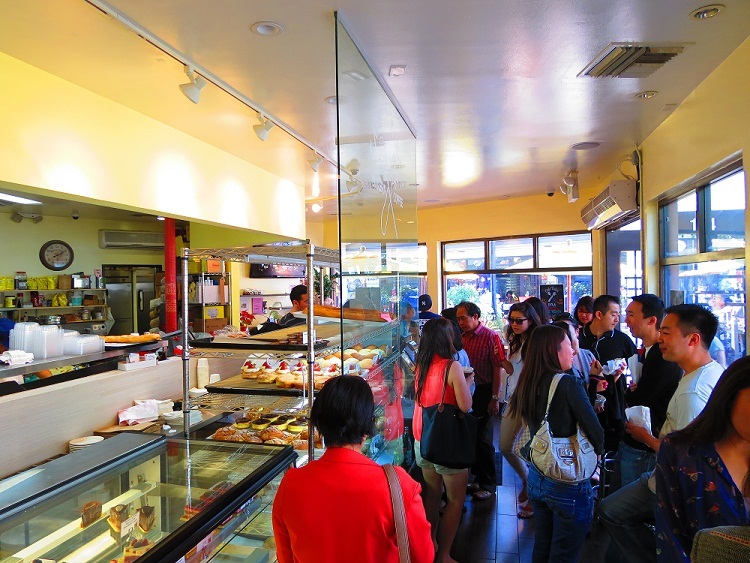 Little Tokyo’s Cafe Dulce has been one of my favorite downtown spots since I first noticed them opening up shop in 2011. 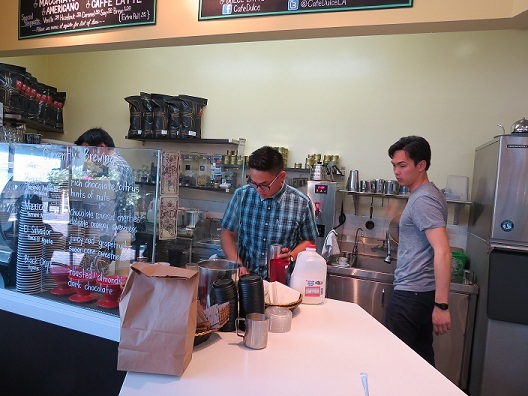 This weekend the specialty coffee and bakery celebrated their 1st Anniversary with blow-out deals on two of their most popular menu items; $1 Dulce Lattes and Green Tea Donuts. 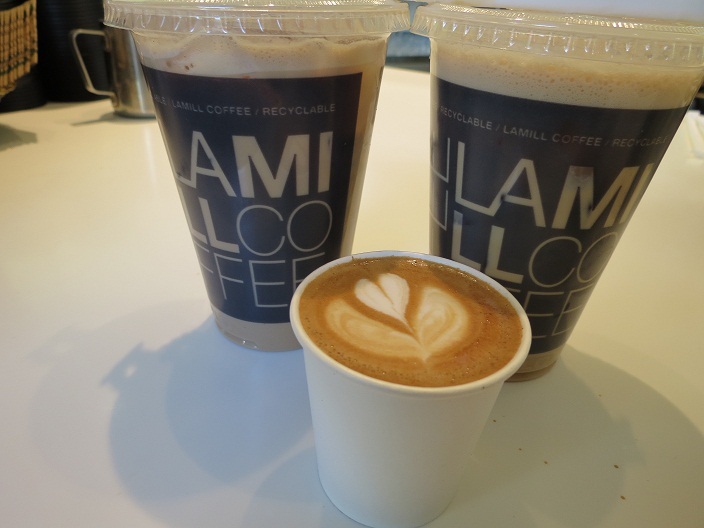 There was a steady crowd of loyal customers and new fans trickling in on this particularly sunny Saturday afternoon, but the level of friendly customer service and top notch coffee did not falter from the high volume of visitors. Owner James Choi was all over the place; greeting guests and helping out with orders while a full force of employees ran the place like a well-oiled machine. Manager and head of their coffee program, Frank La was behind the bar during my visit and made me a most delicious machiatto which actually reminded me of one I had at Gimme! Coffee during a recent trip to New York. And as I have mentioned to many people on many occasions, they make a ridiculously good green tea donut filled with custard. Full disclosure: I took home 8 of them. I’ve been raving about Cafe Dulce for some time now, so do yourself a favor and check them out whenever you’re in Little Tokyo. 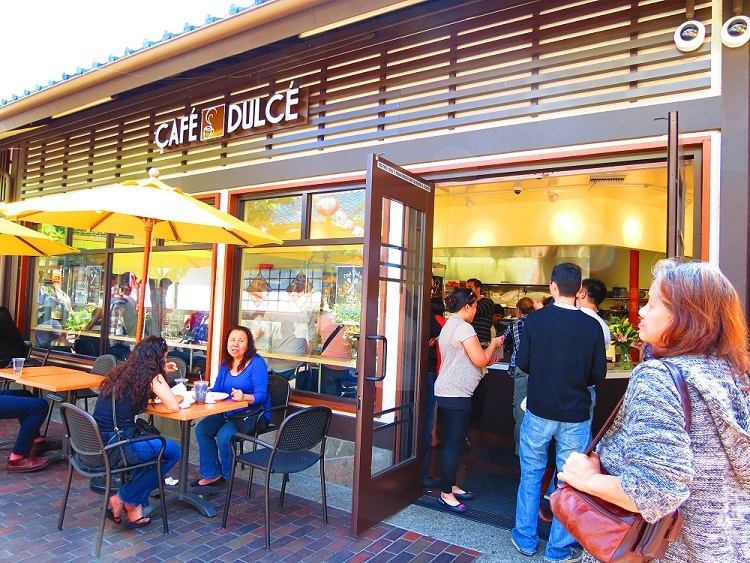 Cafe Dulce is located at 134 Japanese Village Plaza, Bldg. E; Downtown LA.